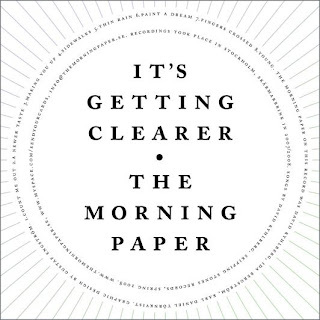 The Morning Paper are yet another great band from Sweden, which I think it's fair to say that if there was a world cup for Indie Pop would be the world champions. The Morning Paper have made an excuisit record. Everything that was so good about Sarah Records can be heard here. I really can't recommend this album enough. It's called "It's Getting Clearer" and is avaliable now through Skipping Stones Records. Buy Here.